So you've taken and passed the exam. Congratulations! Now it's time to start looking at your recertification credits. Anyone can sign up for seminars and webinars to get credits, but the smart HR pro will take a step back, look at the career options available, and make strategic choices that are low-cost and high-impact. 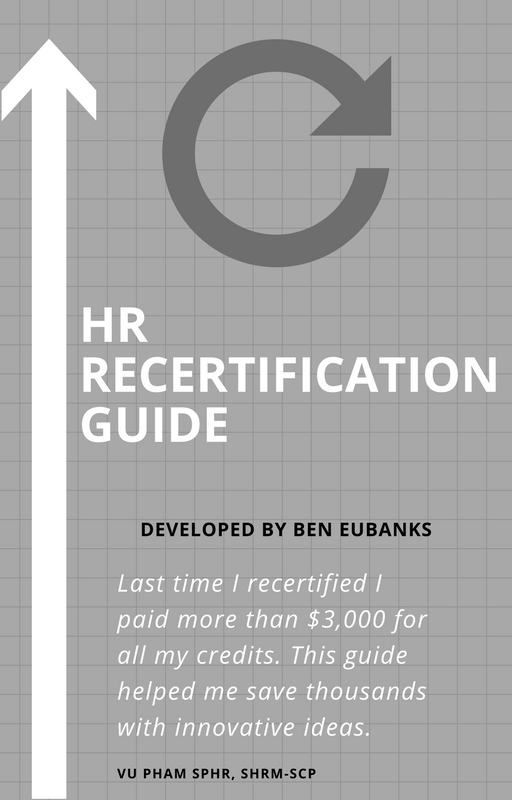 Check out the <a href="http://upstarthr.com/phr-sphr-recertification-ideas/" target="_blank">HR Recertification guide</a>.